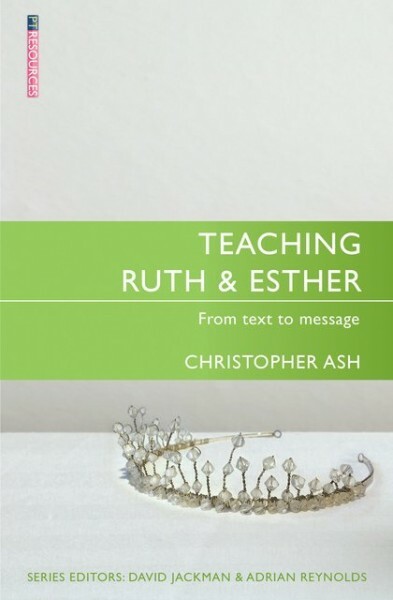 Ruth and Esther are two prophetic pictures of the same gospel. One speaks of a last–minute rescue from death, the other of a long–awaited filling of a terrible emptiness. One ends with a baby; the other concludes with an annual remembrance of an amazing escape. But neither really ends, until they find their fulfilment in Jesus Christ. Christopher Ash is Writer–in–Residence at Tyndale House and Ministry Trainer at St. Andrew the Great church in Cambridge. From 2004 to 2015 he was Director of the Proclamation Trust Cornhill Training Course. He splits his time between preaching, speaking and writing, and has written several books, including ‘Bible Delight: Psalm 119 for the Bible teacher and Bible hearer’ and ‘Teaching Psalms Vol. 1’.